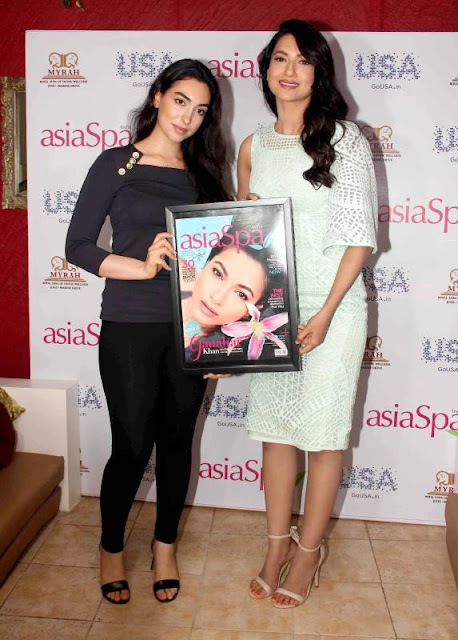 Gauhar Khan looks great at unveiling of Asian Spa India issue . Gauhar Khan looks stylish in this awesome off white dress at the unveiling of Asian Spa , India issue with Miss. Kayvon. Gauhar Khan looks much mature and beautiful in all of her photos snapped on the venue. Do comment if you like them ! Gorgeous closeups of Gauhar Khan , Bollywood celebrity and Reality TV star.